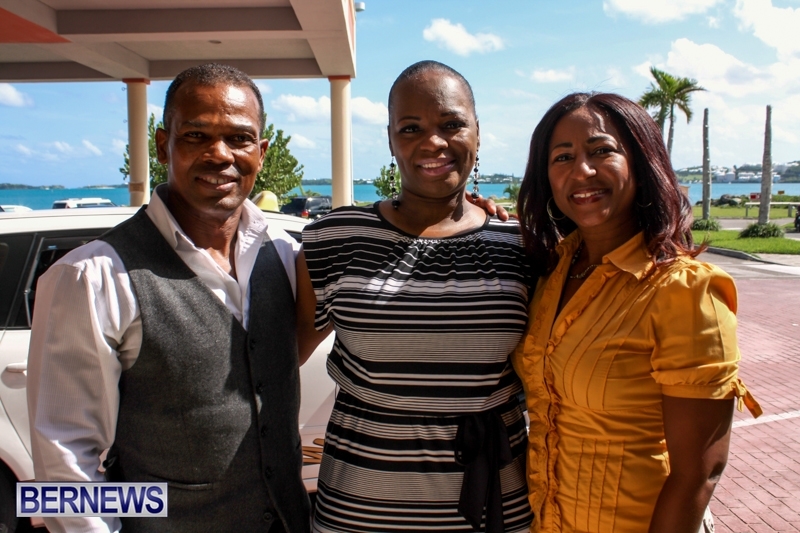 The event is hosted in partnership with Saving Children and Revealing Secrets [SCARS] and Centre Against Abuse [CAA] to give Bermudians an opportunity to help end domestic abuse on the Island. Ms McSwain-Clay was born in Alabama to an alcoholic mother and an absent father, and was left to live with her grandparents. When she was only five-years-old, she was brutally raped and abused by her three uncles. By the age of eight she had contracted syphilis. As she grew older, she became caught in a cycle of drug use and theft, dealing drugs and stealing to support herself. She said one day her yearning for a better life brought a moment of clarity. When she was 30-years-old, she decided to change her life. She started college and graduated in 2006 with her Bachelor’s degree from Kennesaw State University, and two years later earned a Master’s in Social Work at Clark Atlanta University. Now 43-years-old, Ms McSwain-Clay has written several books and created the 12 Step Self Awareness Model to help individuals break free from negative lifestyles. CAA spokesperson Laurie Shiell said the event was “long overdue” and aims to partner with SCARS to hold an event of this nature annually. SCARS spokesperson Jon Brunson stressed the importance of the event. “For far too long it’s been a taboo subject that people didn’t want to talk about,” he said. “Our concerns are for the victims, and the children, who by no fault of their own, have been violated by a sexual predator. Ms McSwain-Clay encourages people of all ages to come to the event, and recommends anyone under 12-years-old to be accompanied by an adult due to the reality of the sensitive content. For more information contact 292-4366 or 537-7949. For tickets, visit www.ptix.bm. Does she have a work permit? Do you know this, or are you just making stuff up because your party lost the election? This is good. Sexual abuse is rampant in Bermuda. But shouldn’t we be worrying about keeping rights from gays? Why is there a charge for this. I mean sexual abuse is running rampant on this island. The people who need to hear it the most can’t afford to pay to attend. Hopefully she can go to a few schools also and tell her truly courageous story. Ms McSwain-Clay thank you for coming to Bermuda. Those that have organised this event well done. I hope all that have experience sexual abuse are able to hear her inspirational story. I believe this is a great idea to have this lady share her story. I also feel that she should visit schools and prisons as well and give those kids in school who have been exposed the courage to push on in life and not end up becoming ‘just another statistic’. Some people in the prisons have given up hopes in becoming better citizens because they have never had the opportunity to seek help in the right direction. Maybe her inspiring story can help a lot of men and women in Bermuda who can’t seem to look past this little island & give themselves a chance! My pocketbook’s been abused for a number of years by BELCO, Govt LAND TAX and the Marketplace. When we going to have a meeting about that!! !